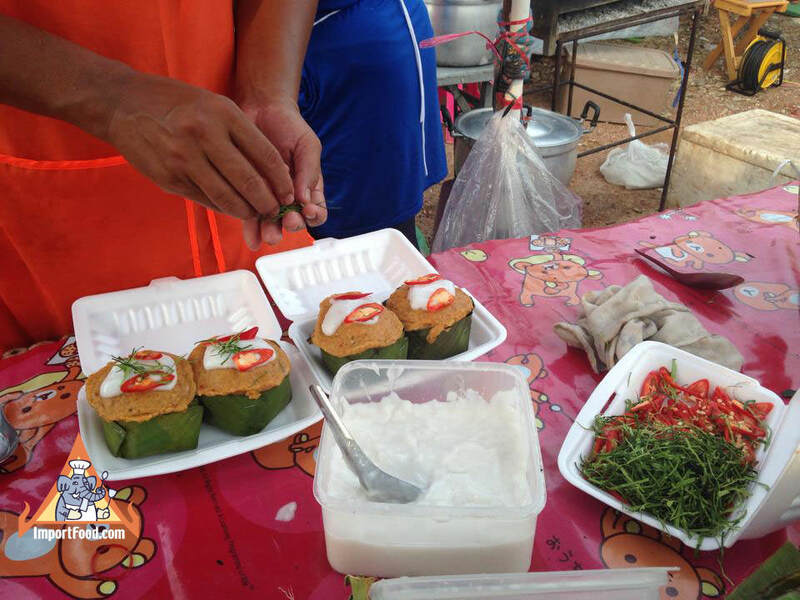 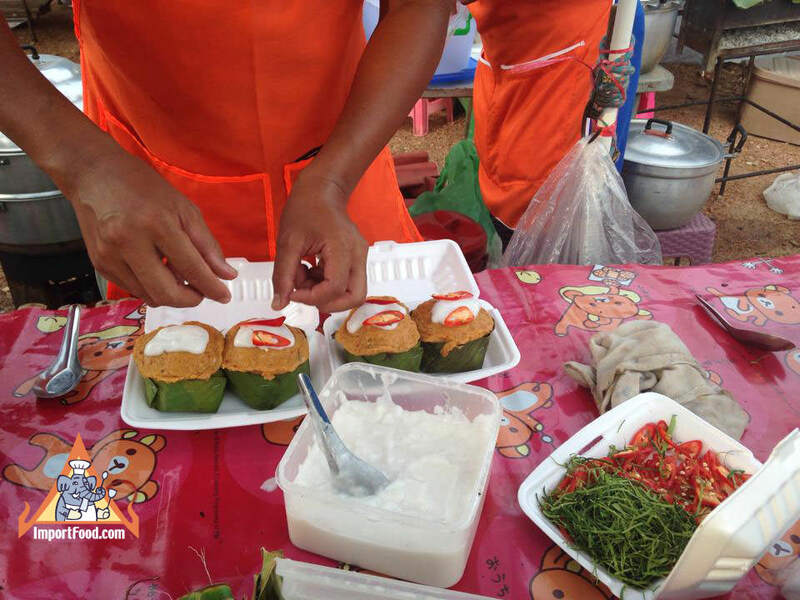 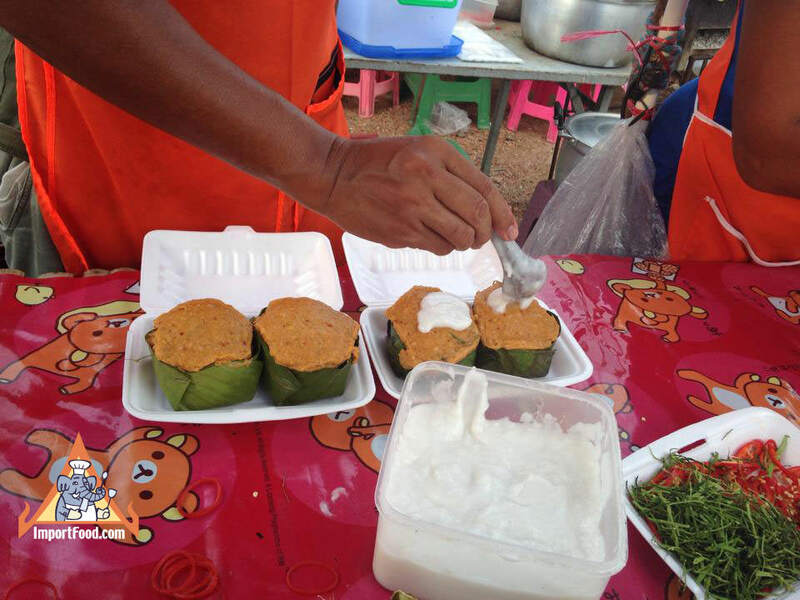 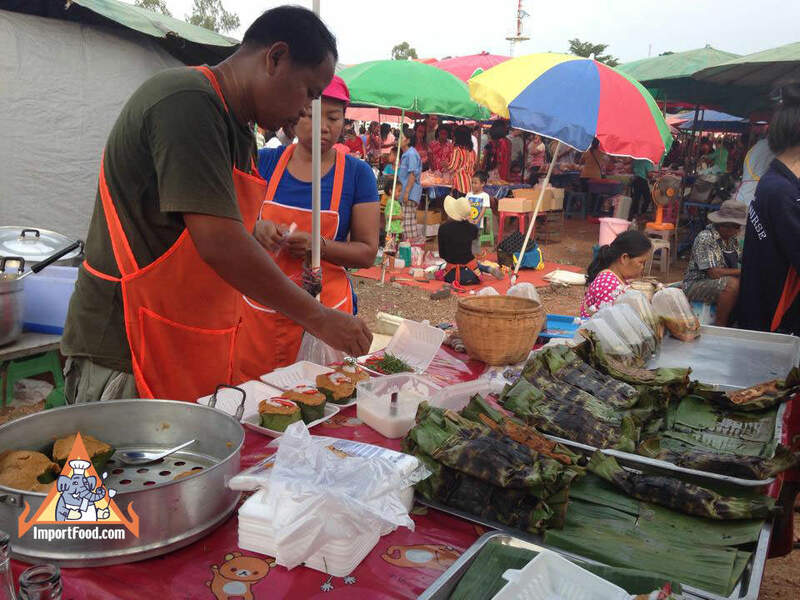 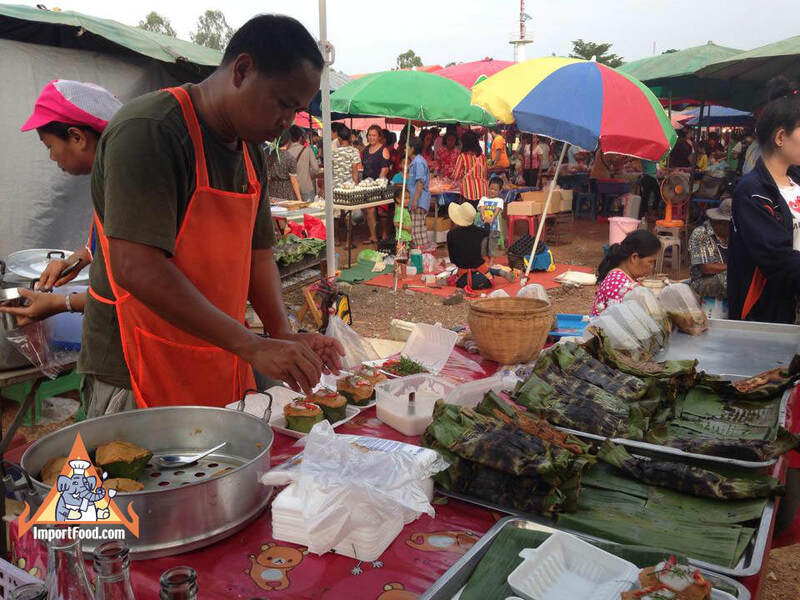 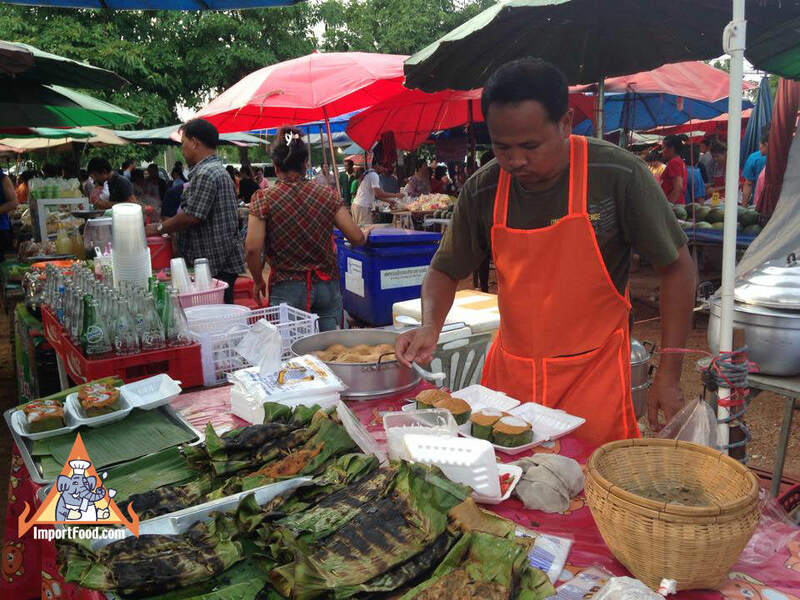 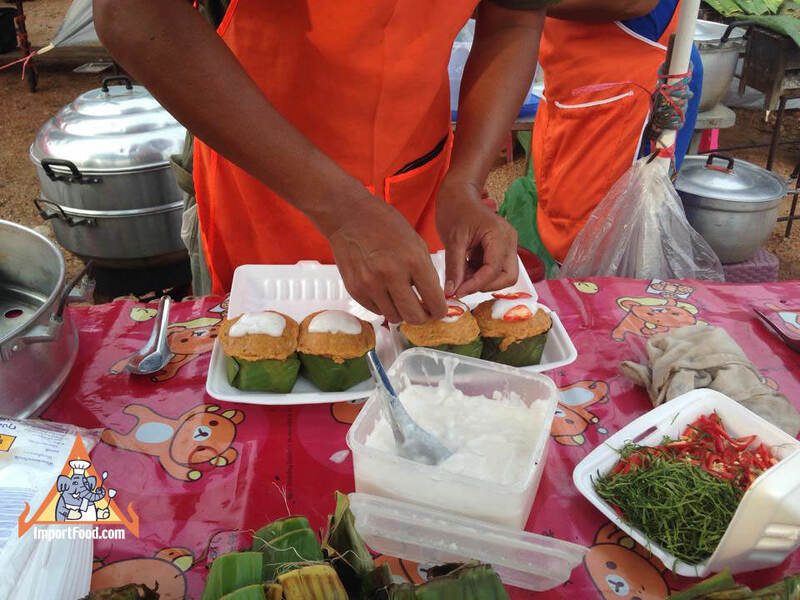 Here the vendor prepares it with the eggs of maengda talay, a type of horseshoe crab found in the Gulf of Thailand. 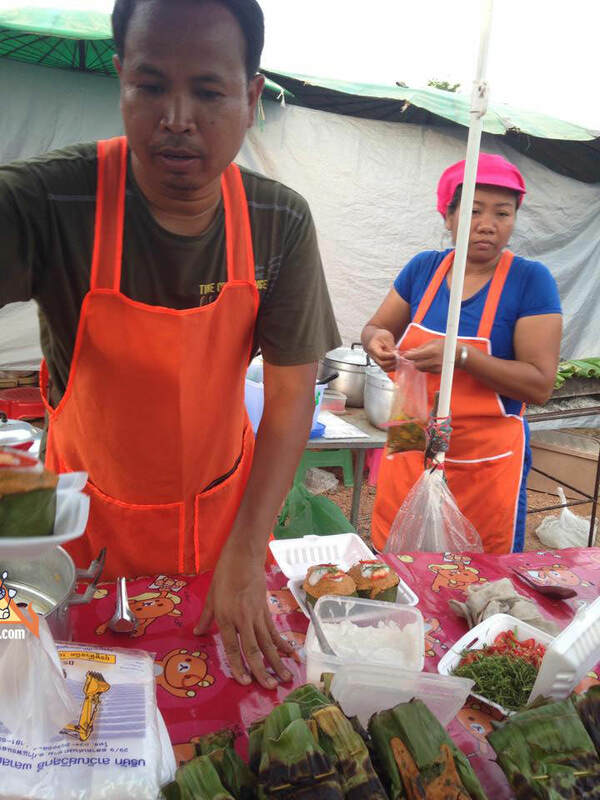 We also feature a video, filmed in Thailand, for an original and authentic version of hor mok. 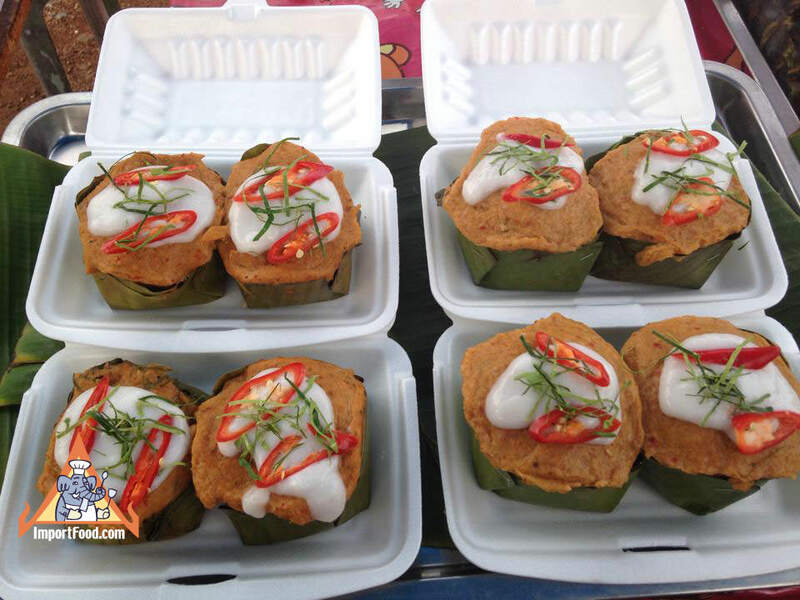 Hor Mok may be hard to find in your local Thai restaurant, but if it's on the menu that's a sign that the restaurant is not only good but also authentic. 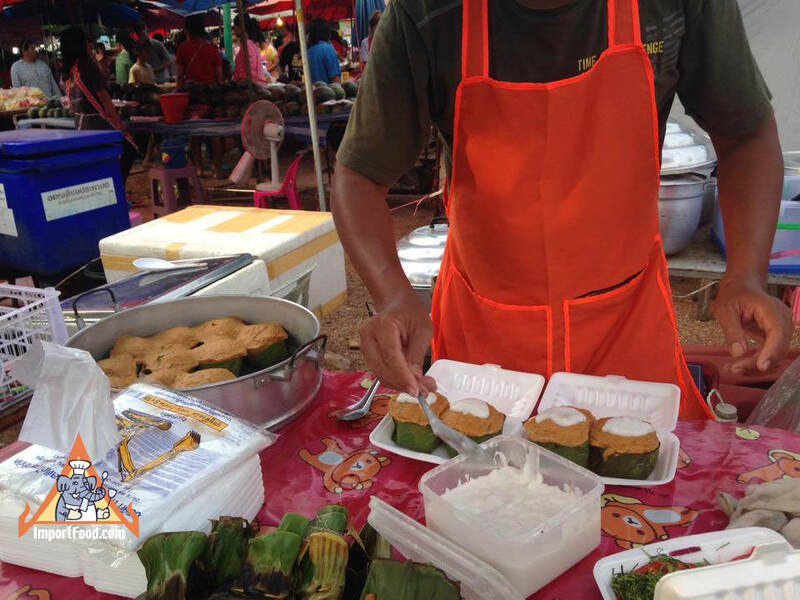 It might be spelled in different ways on English/Thai menus, such as "haw mukh" or "haw mok". 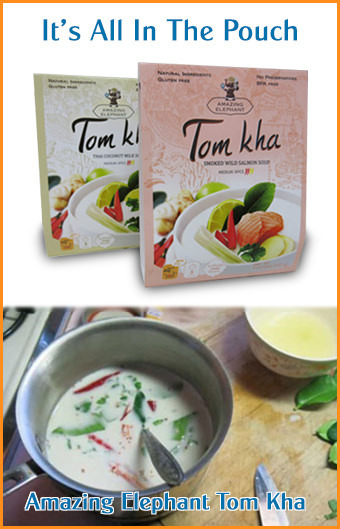 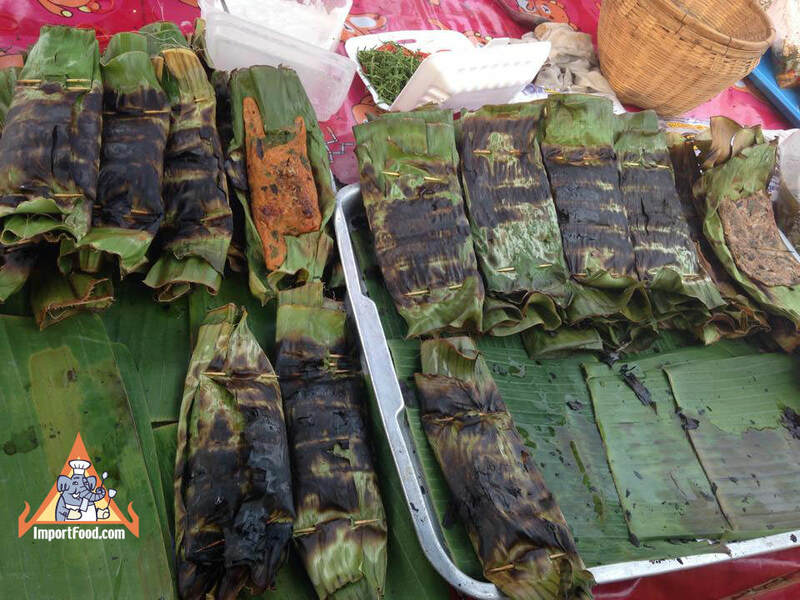 Checkout our recipe for hor mok.